“We wanted the title, David Bowie Is, to be about putting him in the present tense. 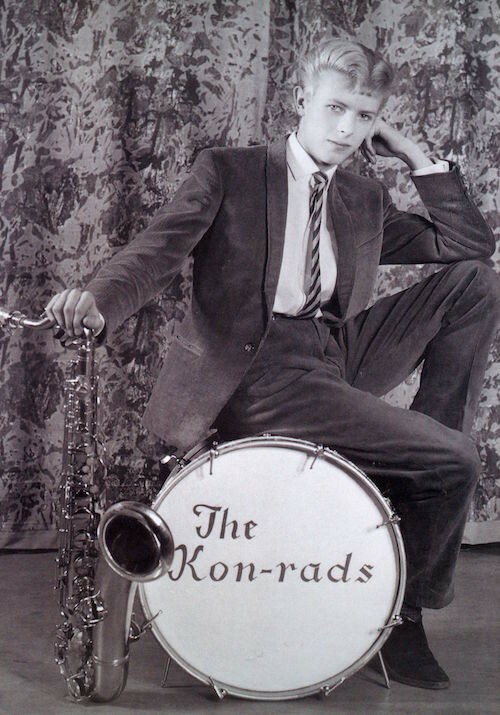 But it was also the idea that people have their own idea of who David Bowie is, what David Bowie is to them. 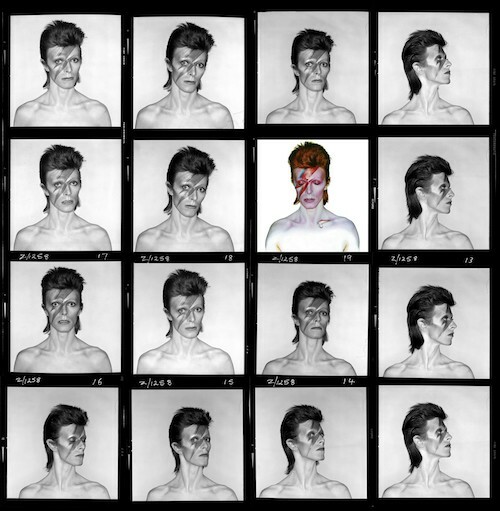 And I was really, really conscious, as we all would be, that we were dealing with a subject that people feel absolutely passionately about.” Listening to Victoria Broackes, curator of the Victoria & Albert Museum’s showing of David Bowie Is, I realize that I know exactly what she’s talking about. 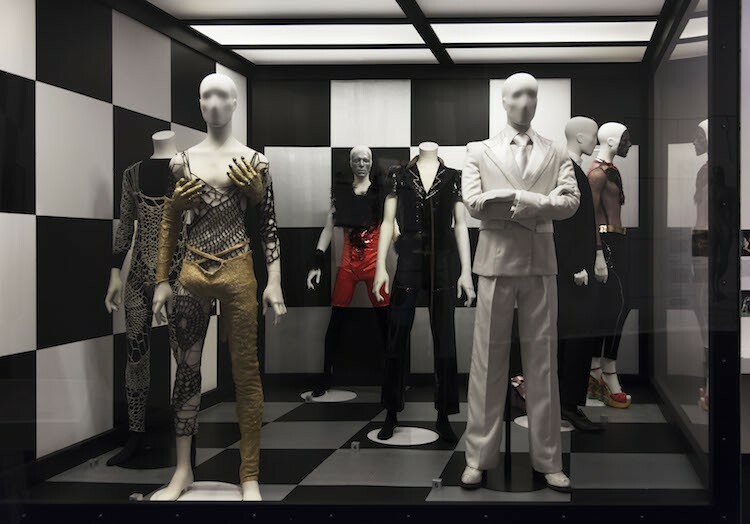 David Bowie Is, the retrospective of Bowie’s life that has been touring the globe for the last five years, is more than an exhibition; it’s personal journey to understanding Bowie. And Bowie was more than a musician—he was a performer, an instigator, a provocateur, a work of art. After I immersed myself into everything Bowie was at the Brooklyn Museum’s showing of David Bowie Is last month, I had a newfound obsession with Bowie. I’d always known how remarkable and creative Bowie was, but to see it all laid out in an extensive, multimedia telling of his life gives a new perspective and an even deeper admiration. As Broackes pointed out, David Bowie means something to fans on a personal level. 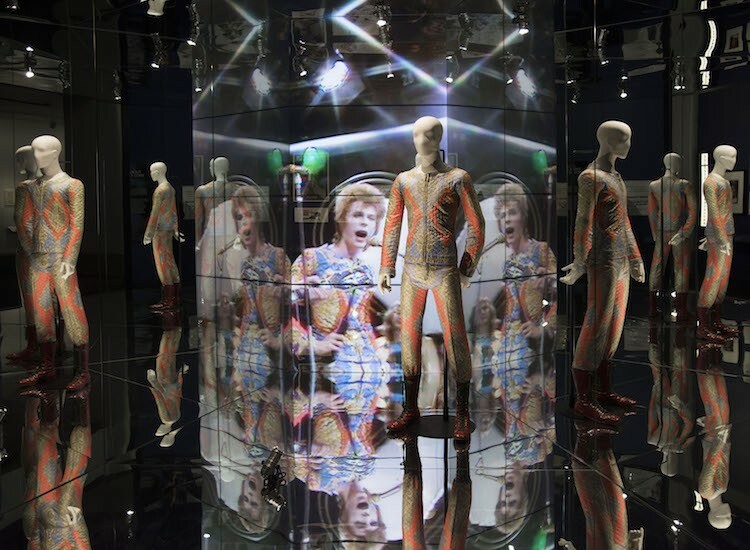 So, to work around this, the exhibition doesn’t state “this is who Bowie was;” rather, it invites visitors to take a personal journey through the breadth of imagination the artist left behind. Yokobosky points out that Bowie dressed how he wanted not to influence people, but to give them the assurance that they could also go forward and try new things without feeling worried. Bowie once said, “I like to keep my group well dressed. I’m out to bloody well entertain, not just get up onstage and knock out a few songs.” To Bowie, being a musical artist was about the whole package—the performance and the performer had to complement the music. And he had no reservations about manifesting his creativity through costume, despite the more close-minded attitudes of the 1960s and 70s. He embraced his androgyny, wore what he wanted, and gave zero fucks about what people thought. 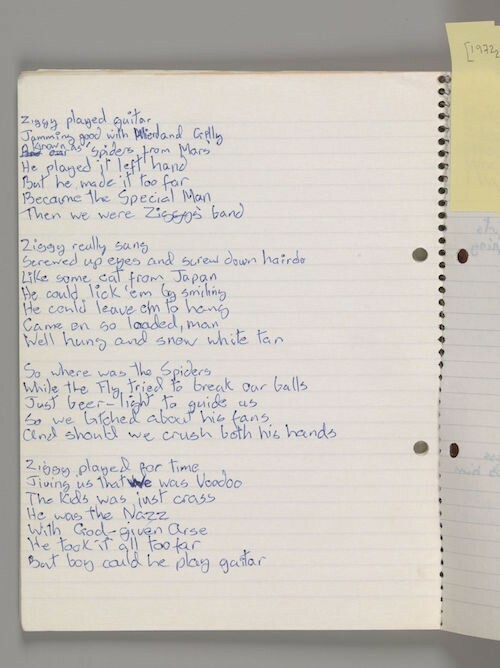 And David Bowie Is highlights this perfectly. When I left the Brooklyn Museum, I was sure of two things: 1) I had to listen to Space Oddity on repeat until I got back to Manhattan, and 2) I needed to know what David Bowie had thought of the exhibition. It’s not that I wondered whether Bowie’s ghost had descended the heavens and come to Brooklyn since the exhibit opened in March. If Bowie’s ghost were to go anywhere for a visit, why would he go to an exhibition on his own life? He already knew that story. But David Bowie Is has been traveling for five years. 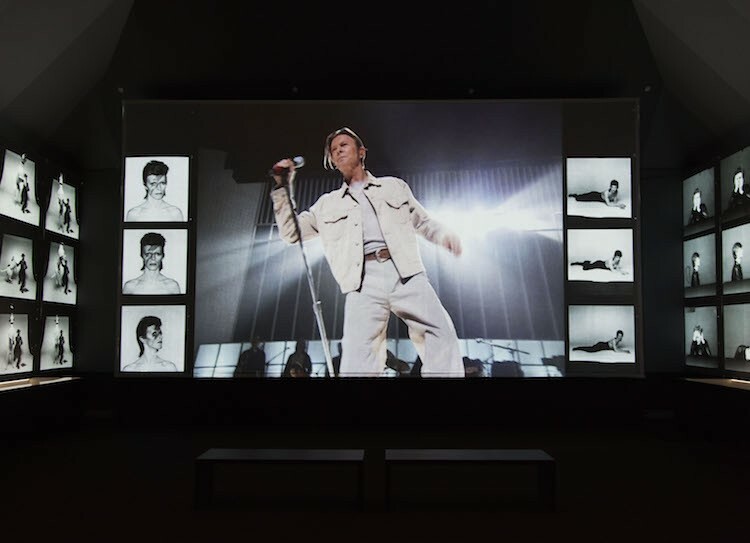 When the exhibition debuted at London’s V&A in 2013, Bowie was alive and well and had obviously seen it—his artwork was loaned to the exhibit. So what had he thought of it? The aforementioned quote wasn’t exactly well concealed. The book, Dylan Jones’s David Bowie: A Life was just a click away on Amazon Prime. But before I even had a chance to order it, a coworker found a radio interview in which Broackes spoke of Bowie’s reaction to the exhibition. She sent me the link and wrote that this is what I was looking for—the next clue on my journey to discovery, yet still not my answer. It was a 27-minute audio file, for all I knew, it could be 26 minutes before I learned Bowie’s thoughts. As I plugged in my headphones and got all set up to listen, it turned out to be one of those hectic afternoons where I was met with interruption after interruption. Eventually, I closed the tab and forgot about the interview for a week. Finally, “Space Oddity” came on shuffle and I realized that I had never actually finished Broackes’ interview. Suddenly, the desire to know Bowie’s thoughts on David Bowie Is resurfaced, but this time with a vengeance. It was no longer a curiosity—I needed to know. It had felt like this was becoming my white whale. It had been a scavenger hunt by this point, with each person I encountered giving me my next clue to uncovering my answer. As someone who was really interested in fame, it’s no surprise that Bowie was gobsmacked. This paints him as he truly was—his own person. 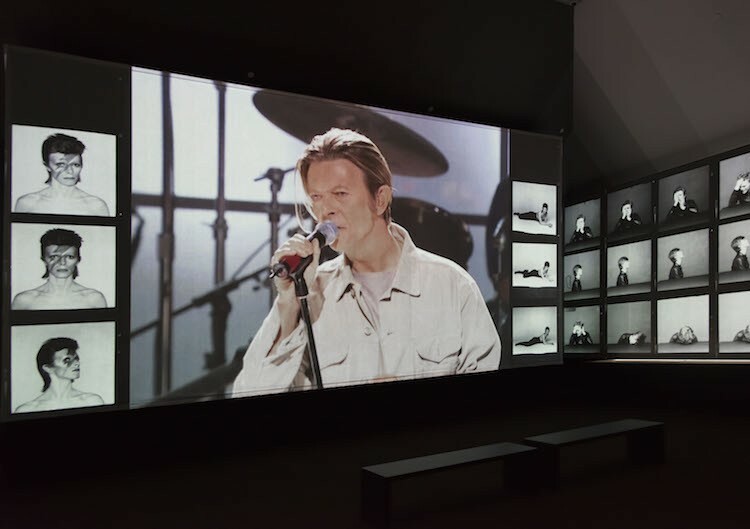 David Bowie can’t be defined in words—that’s why the exhibition’s title remains an unfinished sentence. But through his artwork, his music, his characters, his costumes, his concerts, you can clearly see just who David Bowie was. And when you take a deep look into this mass collection of Bowie’s creative works, all laid out cohesively, it’s just gobmsacking.